The item that will be removed from the target Room and placed in the Inventory. The Room in which the target item is located and from which it will be removed. 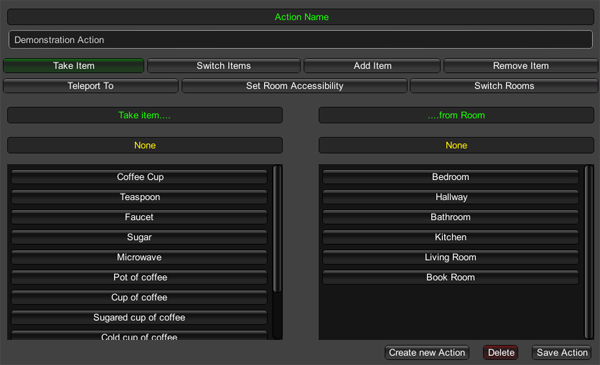 This action is a shorthand for a chain of "Remove Item (from Room)" and "Add Item (to Inventory)" actions.